Barbra StreisandBarbra Streisand is the American actress and singer, the winner of two Academy Awards and other prestigious prizes including Grammy, Emmy, and Golden Globe Awards. Streisand became famous as a singer. By now, she has 35 studio albums released; each of them was included in the top albums of the year according to Billboard. Moreover, Barbra Streisand is the only musician who has topped music charts in each decade since the 1960s. 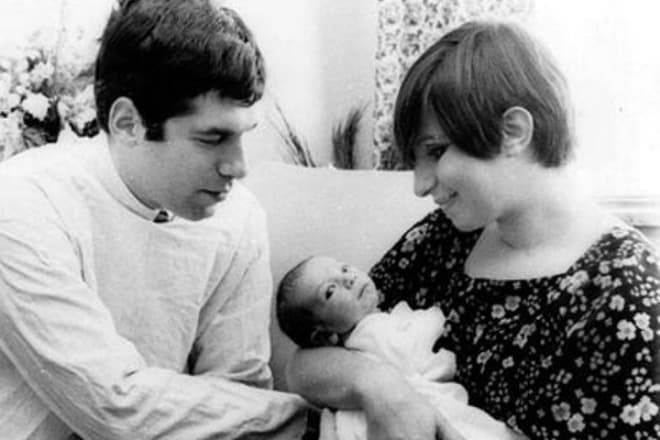 The future star was born in Brooklyn, New York, into the family of a grammar teacher Emanuel Streisand and a secretary Diana Rosen. Unfortunately, the girl’s father died a year after his daughter was born. The relationship with the stepfather Louis Kind was terrible: he put his hands on Barbra. In the new family, the girl’s half-sister Roslyn Kind was born; today, she is also a singer. 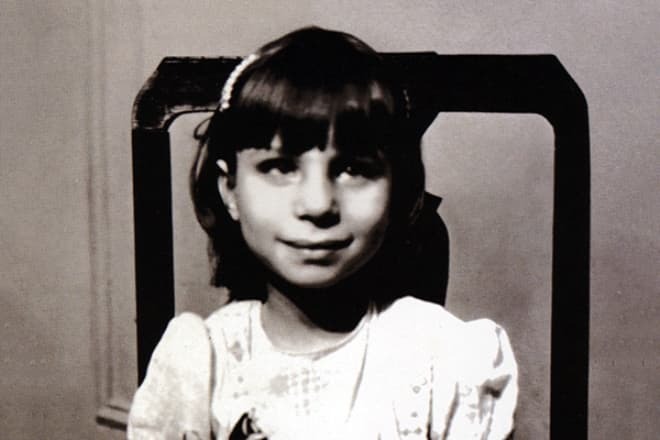 Streisand did not go to school often: she used to spend much time in the local choir; the legendary American singer Neil Diamond and would-be chess grandmaster Bobby Fischer also participated in the club. The famous actor Dustin Hoffman was Barbra’s classmate. Streisand’s relationships with her peers were troubled: they bullied the girl because of her appearance. As soon as grown-up Barbra told her mother she was going to build the acting career, she boiled over: the mother believed her daughter was unattractive and saw her attempts to achieve the theater success futile. Although the future star lacked the family support, she demonstrated her strong character from the early childhood. Once, she claimed she would become famous and sing for the US President. The young woman did not give up. She took part in vocal competitions and numerous castings. After she won a mini-show, she got hired as a nightclub singer. She also worked in a gay club in Greenwich Village, Manhattan. As Barbra broadened her experience, she managed to receive a Broadway role: it was the musical I Can Get It for You Wholesale. It was the young woman’s starting point. In a while, the scriptwriter Jule Styne noticed the unusual singer and created the script of a musical comedy especially for her. Further, Barbra appeared in Sydney Pollack’s melodrama The Way We Were. 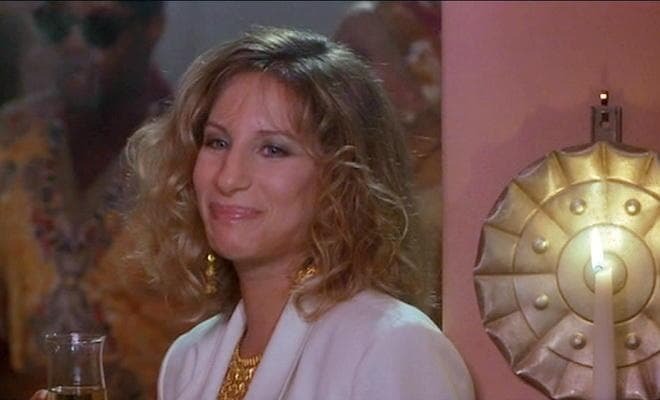 The main soundtrack “The Way We Were” was performed by Streisand. The song “Evergreen” in the musical A Star Is Born brought the musician the second Academy Award. Until 1980, almost all movies where Barbra participated became top grossing. In the 1980s, Streisand decided to extend her movie experience and start directing. Steven Spielberg called her melodrama Yentl the masterpiece of cinematography, and the love story The Prince of Tides was nominated for the Academy Award in seven categories. After the romantic comedy The Mirror Has Two Faces, Streisand disappeared from the big screen for a long time. In this movie, she took the female lead role and also directed the project. In 1983, Barbra directed the movie Yentl and received the Golden Globe Award for the directing debut. The actress came back to cinematography in 2004: she starred in the family comedy Meet the Fockers with Dustin Hoffman and Robert De Niro. In 2010, the movie sequel came out, but critics’ opinions were negative. Barbra was even nominated for the Golden Raspberry. Today, the duo with Seth Rogen in the movie The Guilt Trip is the actress’s most recent work. Paramount was sure Barbra would win the Golden Globe for this role, and the marketing department even reported she won before the results were announced. However, the information proved to be false: Streisand was not even included in the list of the nominees. Barbra Streisand’s music career was flourishing together with her acting. The first studio work, The Barbra Streisand Album, was notable for the tremendous success and won two Grammy Awards. The singer recorded several Broadway-styled albums and introduced pop songs in 1969. “The Way We Were,” “Evergreen,” “No More Tears (Enough Is Enough),” and “Woman in Love” became the classic hits; they remain popular today. One of music critics even said that Barbra Streisand outshone Frank Sinatra in terms of music quality and vocal level in the 1960-1970s. Many music videos have been released, for instance, “Woman in Love,” “Left in the Dark,” “Emotion,” and so on. The singer announced the end of her career several times but kept returning to performances and organized large tours. Streisand often works in duos: the song “I Finally Found Someone” with Bryan Adams and “Tell Him” recorded with Celine Dion may serve as the examples. The latter albums “Partners” and “Encore: Movie Partners Sing Broadway” consist of duo songs. Young Barbra was not happy in her personal life: men did not pay attention to the “ugly duckling.” However, everything changed when Streisand earned her fame. In 1963, Barbra Streisand married the American actor Elliott Gould. They gave birth to the son Jason, but the marriage did not last long. Officially, the couple divorced in 1971, but each of the spouses had their separate lives by that moment. The singer was dating the Canadian Prime Minister Pierre Trudeau. Later, she had an affair with the producer Jon Peters. 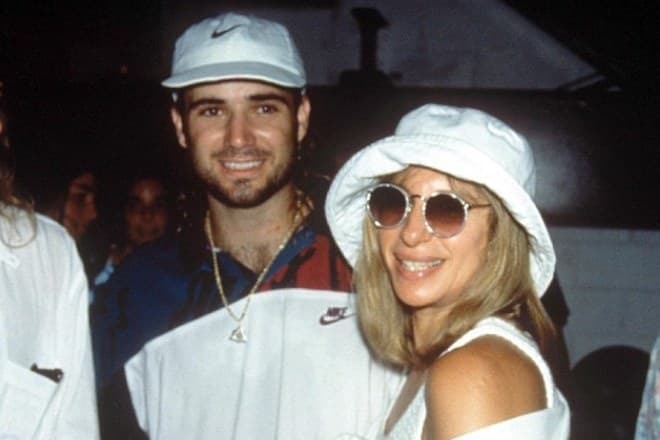 In the 1990s, the woman was seeing the famous tennis player Andre Agassi who was 28 years younger than Barbra. Besides, the actress was dating the legendary Elvis Presley. 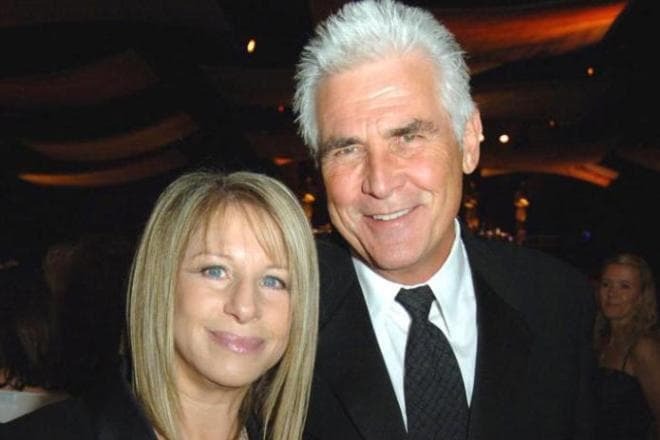 The actor James Brolin became Streisand’s second husband; they live together today. The man managed to find a way to deal with the most extravagant woman in Hollywood; Barbra has become an exemplary wife. Streisand has two best friends: the fashion designer Donna Karan and the writer Shirley MacLaine. It is interesting that Barbra and Shirley were born on the same day. They celebrate their birthdays together and have never broken with this tradition. Barbra supports the Democrats. She has often spoken in favor of women’s and gay people’s rights; the singer even created the charity organization, The Streisand Foundation, and donated $7.5 million for the environment protection, HIV/AIDS treatment research, and human rights protection initiatives. Barbra’s son Jason married to the model David Knight; the wedding ceremony was solemn and glittering. Streisand did not go to the event but started supporting LGBT people after that. 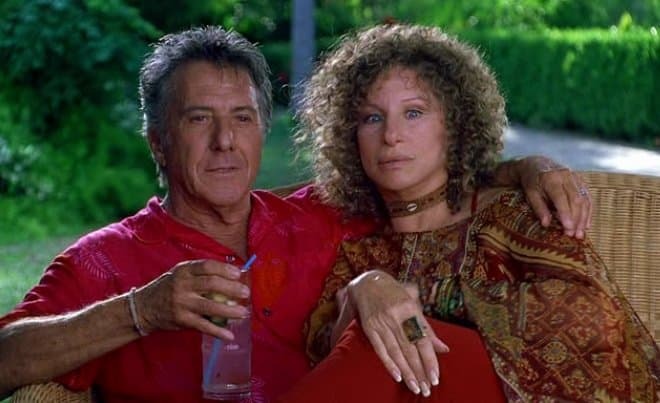 Although many of Barbra’s star peers ignore social networks, Streisand is an exception: she uses Instagram and often posts personal photos, videos, and movie screenshots. On April 4, she congratulated Alec Baldwin with his birthday on her Instagram page. Besides, Barbra has her own Twitter account. There were rumors that Barbra would appear in the series The Politician in 2018. Ben Platt and Gwyneth Paltrow became her stage partners. 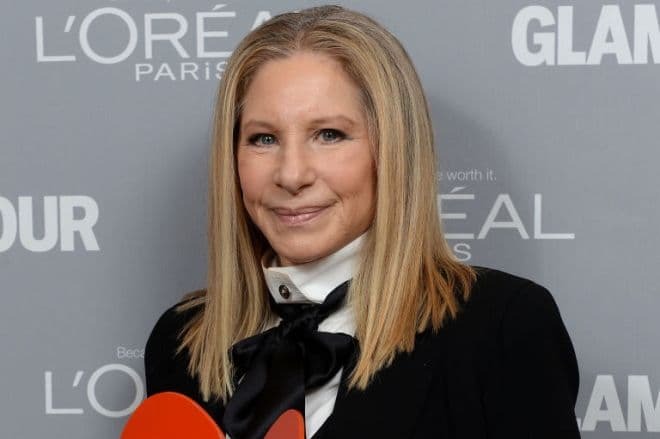 In February 2018, the press reported that Barbra Streisand had her dear dog Samantha cloned; the pet had died in 2017, and her genetic material was used. The actress confirmed this information on her personal website and corrected several journalists’ headlines.